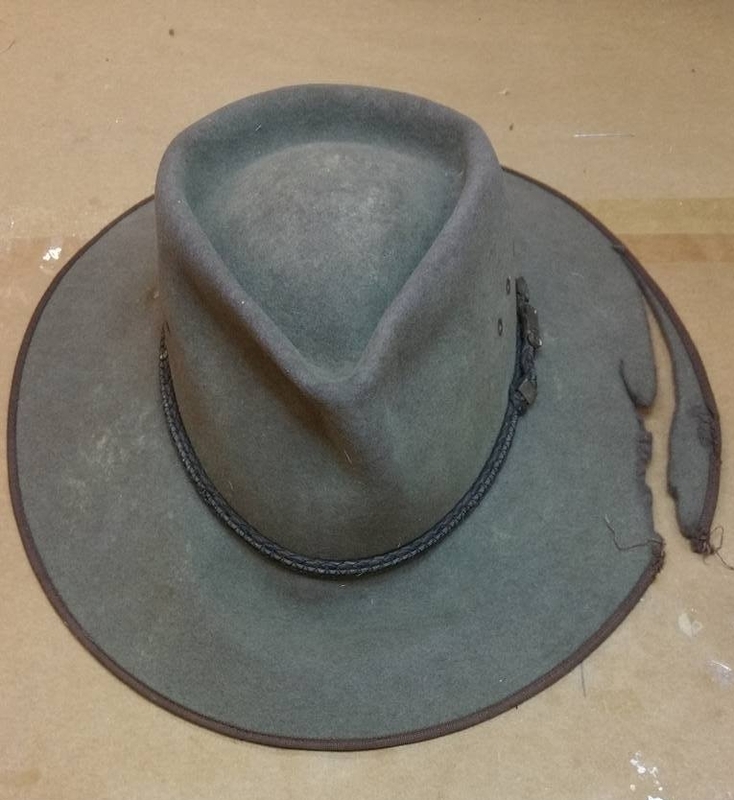 before during and after photos, the quality of this Akubra felt is a big help in doing a repair like this. there are quite a few steps to get through to see the results. if you have a treasured Akubra that needs special attention just email me a photo juliefleming@bigpond.com and I will be happy to give you a quote. this Akubra was runover with the ride on lawn mower !